VA housing assistance can help Servicemembers, Veterans, and their surviving spouses to buy a home or refinance a loan. We also offer benefits and services to help you build, repair, or keep your current home. This includes grants for Veterans with service-connected disabilities who need to adapt their home to live as independently as possible. Find out how to apply for and manage the Veterans housing assistance benefits you've earned. Contact your nearest VA medical center and ask to talk with the VA social worker. If you’re a female Veteran, ask for the Women Veterans Program Manager. If you’re a Veteran in crisis or concerned about one, connect with our caring, qualified Veterans Crisis Line responders for confidential help. Many of them are Veterans themselves. This service is private, free, and available 24/7. Learn how VA direct and VA-backed home loans work—and find out which loan type may be right for you. Find out if you're eligible for a VA direct or VA-backed home loan, based on your service history and duty status. Get instructions for how to apply for your VA home loan Certificate of Eligibility (COE)—and what to do next depending on your loan type. Track the status of an open home loan COE appeal. Having Trouble Making Payments on a VA-Backed Mortgage? Get help to avoid foreclosure if you're struggling to make your monthly mortgage payments. Learn about the signs of misleading offers to refinance your VA-backed home loan, like claims that you can skip payments or get very low interest rates or other terms that sound too good to be true. Watch a video and get more information about using your VA home loan benefit to buy a home. Find out if you'll need to pay this fee when using your home loan benefits. Look up contact information for your nearest regional loan center. Learn more about buying a home we've acquired because its VA-direct or VA-backed home loan was terminated. Find out how to get help if you have a VA direct or VA-backed home loan or Specially Adapted Housing grant and your home was damaged by a natural disaster. Get financial help to make changes to your home to help you live more independently with a service-connected disability. 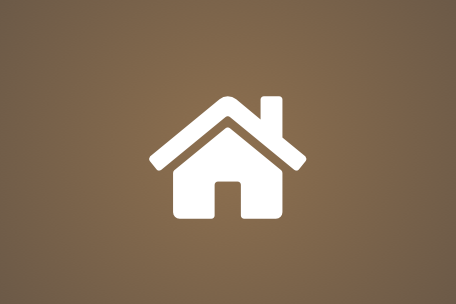 Track the status of an open claim for a Specially Adapted Housing grant. Find out how to file a claim for compensation for conditions related to your military service. See if you qualify for pension benefits as a wartime Veteran or a surviving spouse or child. Find out how we can help you or a Veteran you care about connect with VA and local resources 24 hours a day, 7 days a week.